Welcome to the website of TechDebt 2018. Technical debt describes a universal software development phenomenon: design or implementation constructs that are expedient in the short term but set up a technical context that can make future changes more costly or impossible. Software developers and managers increasingly use the concept to communicate key tradeoffs related to release and quality issues. The goal of this two-day conference is to bring together leading software researchers, practitioners, and tool vendors to explore theoretical and practical techniques that manage technical debt. The Managing Technical Debt workshop series has provided a forum since 2010 for practitioners and researchers to discuss issues related to technical debt and share emerging practices used in software-development organizations. A week-long Dagstuhl Seminar on Managing Technical Debt in Software Engineering has produced a consensus definition for technical debt, a draft conceptual model, and a research roadmap. To accelerate progress, an expanded two-day working conference format has become essential. The inaugural edition of the TechDebt Conference will be held jointly with ICSE 2018 in Gothenburg, Sweden, May 27–28, 2018. The conference is sponsored by ACM SIGSOFT and IEEE TCSE. Save the Date! TechDebt 2019 in conjunction with ICSE, May 26-27, 2019. The accepted papers and tools track topics are posted. 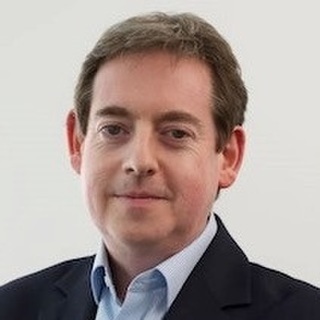 Eoin Woods will speak at the conference on The Past, Present and Future of Technical Debt. Join our mailing list to receive updates about TechDebt 2018. Jeremy LudwigStottler Henke Associates, Inc. The First International Conference on Technical Debt will be held in Gothenburg, Sweden, on May 27-28, 2018 collocated with ICSE 2018. Technical debt is a metaphor that software developers and managers increasingly use to communicate key tradeoffs related to release and quality issues. The Managing Technical Debt workshop series had, since 2010, brought together practitioners and researchers to discuss and define issues related to technical debt and how they can be studied. Workshop participants reiterated the usefulness of the concept each year, shared emerging practices used in software development organizations, and emphasized the need for more research and better means for sharing emerging practices and results. As the interest from our industry and academic researchers in Technical Debt has steadily grown, the workshop series has morphed into a full conference in 2018. Our goal for this conference on Technical Debt is to bring together leading software engineering researchers and practitioners for the purpose of exploring theoretical and practical techniques for managing technical debt. Submissions must be original and unpublished work. Each submitted paper will undergo a rigorous review process by three members of the program committee. Submissions must be submitted online via the TechDebtConf2018 EasyChair conference management system and conform to the ACM formatting guidelines . Upon notification of acceptance, all authors of accepted papers will be asked to complete an ACM Copyright form and will receive further instructions for preparing their camera ready versions. All accepted contributions will be published in the conference electronic proceedings. The official publication date is the date the proceedings are made available in the ACM Digital Library. This date may be up to two weeks prior to the first day of ICSE 2018. The official publication date affects the deadline for any patent filings related to published work. Purchases of additional pages in the proceedings is not allowed. Accepted papers must be presented in person at the conference by one of the authors. Excellent papers will be considered for a Distinguished Paper Award from ACM Sigsoft. TechDebt 2018 is the first International Conference on Technical Debt. It brings together leading researchers and industry practitioners in this growing field. Industry plays a critical role in the understanding of the management, monitoring, and calculations of technical debt in real world situations, and as such, new techniques, methods and tools that can aid practitioners and decision makers in these critical tasks are cordially invited to participate at TechDebt 2018, to be held in conjunction with ICSE 2018 in Gothenburg, Sweden. Industry representatives interested in participating are encouraged to submit a letter of interest by January 5th, 2018 directly to Dr. Clemente Izurieta (clemente.izurieta@montana.edu). Submit an extended abstract (maximum of 2 pages). Abstracts are due on January 15th, 2018. Although extended abstracts are not peer reviewed, abstracts will be screened to ensure they meet the expectations of the tools track and are aligned with the overarching technical debt theme of the conference. In the abstract we suggest that authors address the purpose of the tool, its use in industry (if applicable), and its relevance to technical debt. Authors of accepted abstracts will be required to participate in a panel discussion. Tools Paper. Abstracts are due on January 15th, 2018, and papers are due on January 22nd, 2018. The intent of this option is to give vendors an opportunity to communicate tool experiences (e.g., practice, prototype, experimental, or new research) in tools associated with technical debt. Submissions can be in the form of short, industrial or research papers as specified in the Call for Papers at https://2018.techdebtconf.org/track/TechDebt-2018-papers#Call-for-Papers. These papers will be peer reviewed and must be submitted through EasyChair. When you submit, make sure you specify “Vendor Tools” in the keywords section of your paper. Authors of accepted papers will be required to present their results. Tool demonstration. If you propose to showcase a product from your company or organization, please let us know your power and space requirements. Poster. A poster should describe a tool, or some aspect consistent with tools of the trade. Poster abstracts are due on January 15th, 2018. Posters will be screened to ensure they meet the expectations of the tools track and are aligned with the overarching technical debt theme of the conference. While technical debt has emerged as a formal concept relatively recently we have had technical debt from the earliest days of software development, it has simply evolved in nature. So what can we learn from past types of technical debt to allow us to prepare for its future forms? When we look back over recent software history, we can see identifiable evolutions of software systems, each one roughly aligning with a decade. In this talk we will explore what technical debt has meant during each era of software systems and what this might mean for technical debt in the future. Eoin Woods is the CTO of Endava, a technology company that delivers projects in the areas of digital, agile, and automation. Prior to joining Endava, Eoin worked in the software engineering industry for 20 years, developing system software products and complex applications in the capital markets domain. His main technical interests are software architecture, distributed systems, and computer security, and he is the author of a book and a number of practitioner and research publications in these fields. Eoin can be contacted via his website at www.eoinwoods.info. To accelerate progress, an expanded two-day working conference format has become essential. The inaugural edition of the TechDebt Conference was held jointly with ICSE 2018 in Gothenburg, Sweden, May 27–28, 2018. Researchers, practitioners, and tool vendors explored theoretical and practical techniques that manage technical debt. A week-long Dagstuhl Seminar on Managing Technical Debt in Software Engineering, April 17 – 22 , 2016, has produced a consensus definition for technical debt, a draft conceptual model, and a research roadmap. The Managing Technical Debt workshop series has provided a forum since 2010 for practitioners and researchers to discuss issues related to technical debt and share emerging practices used in software-development organizations. MTD 2017 @ XP Ninth International Workshop on Managing Technical Debt ACM digital library Technical Debt in Agile Development: Report on the Ninth Workshop on Managing Technical Debt (MTD 2017), ACM SIGSOFT Software Engineering Notes, Volume 42, Issue 3, July 2017, pages 18-21. MTD 2016 @ ICSME Eighth International Workshop on Managing Technical Debt IEEE Xplore Technical Debt: A Research Roadmap Report on the Eighth Workshop on Managing Technical Debt (MTD 2016), ACM SIGSOFT Software Engineering Notes, Volume 42, Issue 1, January 2017, pages 28-31. MTD 2015 @ ICSME Seventh International Workshop on Managing Technical Debt IEEE Xplore Technical Debt: Broadening Perspectives Report on the Seventh Workshop on Managing Technical Debt (MTD 2015), ACM SIGSOFT Software Engineering Notes, Volume 41, Issue 2, March 2016, pages 38-41. MTD 2014 @ ICSME Sixth International Workshop on Managing Technical Debt IEEE Xplore Technical Debt: Beyond Definition to Understanding Report on the Sixth International Workshop on Managing Technical Debt, ACM SIGSOFT Software Engineering Notes, Volume 40, Issue 2, March 2015, pages 32-34. MTD 2013b @ ESEIW Fifth International Workshop on Managing Technical Debt N/A Technical debt at the crossroads of research and practice: report on the fifth international workshop on managing technical debt, ACM SIGSOFT Software Engineering Notes, Volume 39, Issue 2, March 2014, pages 31-33. MTD 2013a @ ICSE Fourth International Workshop on Managing Technical Debt IEEE Xplore Technical debt: towards a crisper definition report on the 4th international workshop on managing technical debt, ACM SIGSOFT Software Engineering Notes, Volume 38, Issue 5, September 2013, pages 51-54. MTD 2012 @ ICSE Third International Workshop on Managing Technical Debt IEEE Xplore Technical debt in software development: from metaphor to theory report on the third international workshop on managing technical debt, ACM SIGSOFT Software Engineering Notes, Volume 37, Issue 5, September 2012, pages 36-38. MTD 2011 @ ICSE Second International Workshop on Managing Technical Debt ACM digital library Managing technical debt in software development: report on the 2nd international workshop on managing technical debt, held at ICSE 2011, ACM SIGSOFT Software Engineering Notes, Volume 36, Issue 5, September 2011, pages 33-35. MTD 2010 First International Workshop on Managing Technical Debt N/A Managing Technical Debt in Software-Reliant Systems, FSE/SDP Workshop on the Future of Software Engineering Research, 2010.